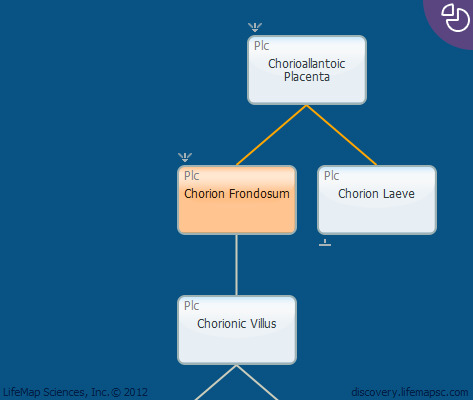 The chorion frondosum (literally "bushy chorion") arises from the polar pole of the human embryo trophoblast. It consists of a layer of trophblasts and extraembryonic mesoderm surrounded by numerous villi. This portion of the placenta is located at the site of implantation. Equivalent to the mouse ectoplacental cone.